How to score in the essay section? Scoring a perfect 6.0 on the GRE Analytical Writing Assessment (AWA) section can really give a boost to your graduate-school admission chances. What is important for you to understand here is, typically, graders read and evaluate your essays for just between thirty seconds to two minutes, per essay. This means, that they gauge the overall effectiveness of the essay at displaying strong logical reasoning and cogent writing. Universities, no doubt, look for candidates with good quantitative and verbal scores, but they also want students who possess strong reasoning capabilities and are able to effectively put their thoughts down on paper. After all, a good number of students score well in the quantitative and verbal sections, but not everyone can demonstrate impeccable reasoning and writing skills! Now, if you were wondering how to effectively jack up your score on the AWA section, the good news is that there are specific factors that may stand out and improve the overall appeal of your essays. Let us have a look at these factors one at a time. While writing on a regular basis, no doubt, helps you with constructing sentences and improving your grasp over the English language, you must also think about the points on which you wish to write on, and in what order! Structuring your essay helps you with the logical flow of ideas, knowledge, facts and arguments. This makes your essay more coherent. A well-organized essay is a pleasure to read, and helps the grader follow your argument. Do make sure that you devote a couple of minutes in the beginning, to think over the task, jot down the theme and the instructions, and decide on a roadmap for your essay. Although you may not get time to edit your essay on test-day, editing your practice essays will help make you aware of the errors and mistakes you're making. Editing gives you an idea of the grammatical mistakes that you might make. At the same time, reading through your essay will also help you figure out the logical flow of the essay. This will make your future essays error-free. If you are aiming to make a difference and carve a niche for yourself in front of the admissions committee through an impressive AWA score, it is important to supplement your essay with examples, facts or reasons to support your points. Your essay must contain some sort of supporting evidence. This may be factual, logical, or even statistical information. However, do not include examples and evidence just for the sake of it! It is important that the examples used, whether real or hypothetical, are a proper fit for the point you are trying to explain. Reading is just as important as writing. Issue and argument tasks may be hard to comprehend because of their use of obscure vocabulary. Reading sample essays will help you enhance your word stock. It also helps you write clear and crisp sentences which are easier to follow for the graders. Second, by reading other’s essays you will be able to judge your own. Reading through the list of topics on the ETS's official site will also help you develop ideas on various topics. The AWA does not specifically judge grammar, but what it looks for is clarity of thought and articulation of ideas. And although both are different yet they are inter-related. Hence, if you struggle with grammar, articulation might get difficult and clarity may be lost. Even minor grammatical errors may alter the meaning of sentences and ruin the overall quality of an essay. Although the ETS has not specified any word limit, the general consensus is that longer essays (500-600 words) tend to score higher. This may be attributed to the fact that a longer essay addresses issues in greater detail, and provides a deeper insight into the given topic. Long essays which are organized well and provide lot of examples, score significantly higher than essays which are short. However, it is just as important that you do not prioritize quantity over quality. Lengthy essays which simply beat around the bush, or do not provide enough evidence to support the argument, come off as unimpressive. - Well focused and organized. - Use of logically compelling reasons or highly persuasive examples. - Use of sentences and words skilfully to convey ideas effectively. - Minor errors that do not interfere with meaning. - Provides a thoughtful analysis of complex ideas. - Generally focused and well organized. - Characterized by adequate sentence variety and vocabulary to convey meanings clearly. - Supports main points with logically sound reasons and/or well-chosen examples. - May have minor errors that do not interfere with the overall meaning. - Support main points with relevant reasons and/or examples. - Conveys meaning with reasonable clarity. - May have some errors that affect clarity. - Displays some competence in analytical writing. - Writing is flawed in at least one of the following ways: limited analysis or development of ideas; weak organization; weak control over sentence structure or language usage, with errors that often result in vagueness or lack of clarity. - Displays serious weaknesses in analytical writing. - Writing is seriously flawed in at least one of the following ways: serious lack of analysis or development; lack of organization; serious and frequent problems in sentence structure or language usage, with errors that obscure meaning. - Displays fundamental deficiencies in analytical writing. - Writing is fundamentally flawed in at least one of the following ways: content that is extremely confusing or mostly irrelevant to the assigned tasks; little or no development; severe and pervasive errors that result in incoherence. Now that you are familiar with tips and tricks to get the perfect AWA score, jump-start with practicing for it. Here’s wishing you good luck! A template can make your AWA essays more organized and coherent. To know more about essay templates, click here! 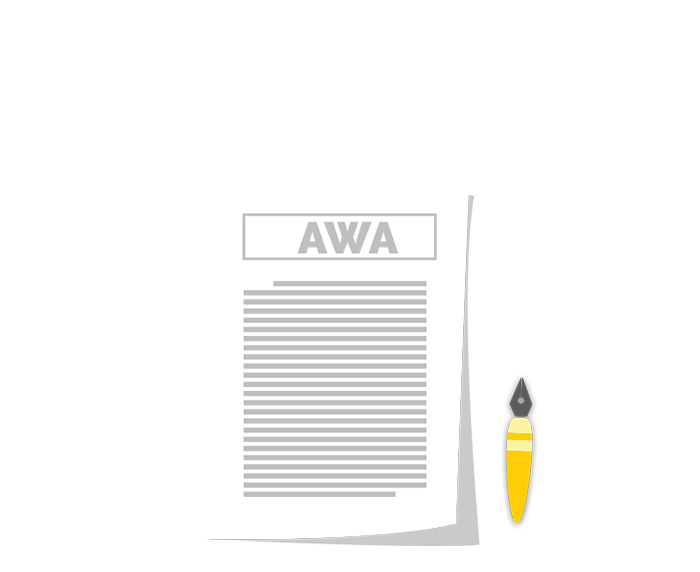 Download the exclusive GREedge guide to effective AWA writing, now!